An easy and super yummy filling requested by my colleague Joe. 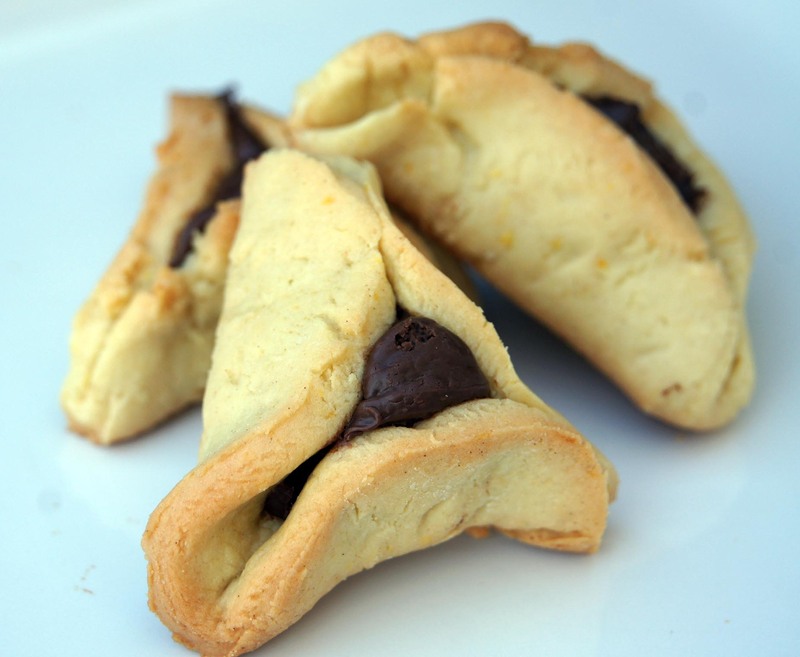 Follow the Hamantaschen recipe and use a teaspoon of Nutella as your filling! It is as simple as that! Remember everything tastes better with Nutella….. oh wait that was butter… oh wait bacon? Regardless this is a great filling – and Nutella Hamantaschen are best eaten as you dunk them into coffee or tea! Shari, I just wanted to let you know I saw a post on homemade Nutella on BrownEyedBaker’s Blog this week. I bet that would be good in these! Ooh! I will need to try this. Thank you. Shari they all look sooo scrumptious thank you! Anything with Nutella gets my attention! This looks delicious. Thank you! 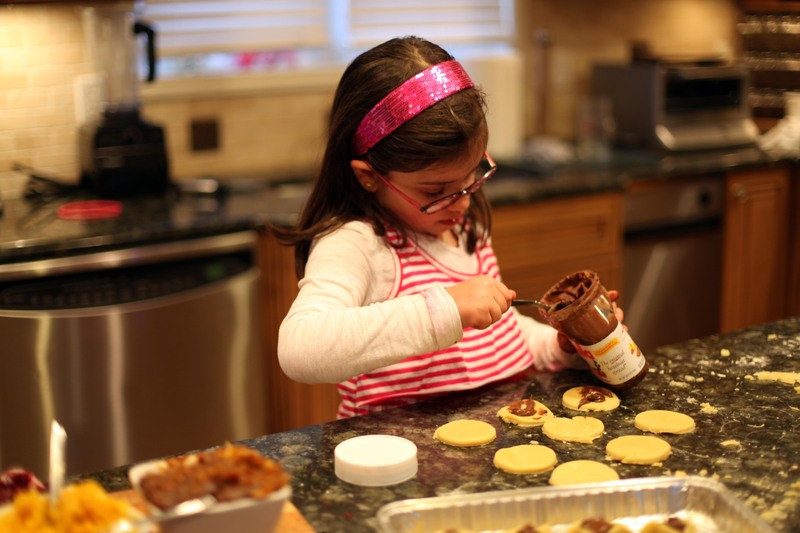 Nutella is a favorite in our home!